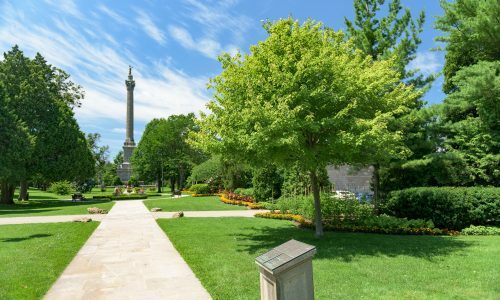 Whether you’re planning a family reunion in one of our parks or pavilions, looking for a location for your community event, or just want to learn more before your visit, Niagara Parks offers many visitor services to travellers and locals alike. 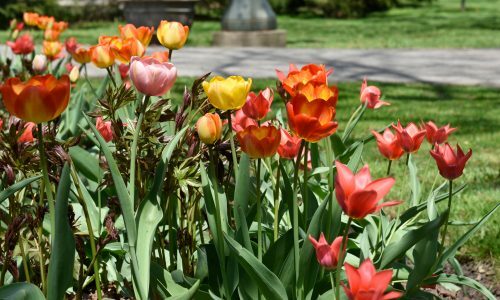 Learn about hosting your event or community group at Niagara Parks. Book a picnic pavilion for your picnic or gathering. Fill out a lost and found report to help our Niagara Parks Police service find you should your item be turned in. Does Niagara Parks have a Lost & Found? All lost items turned in to Niagara Parks are kept at the Niagara Parks Police administration building. If you would like to report as lost, please use our online form. A police services representative will contact you should your item be turned in. Our First Aid Station is located at Table Rock Centre, at the brink of the Horseshoe Falls. This station is available on weekends during late May, June and early September, and from 10 a.m. until 8 p.m. every day during July and August. If an incident requiring medical attention should occur outside the Table Rock area, the Niagara Emergency Medical Services (NEMS) provide rapid response through paramedics on bicycles. From Victoria Day to Labour Day, two paramedics on bikes provide emergency medical care in the tourist district of Niagara Falls for 12 hours each day. The bike medics work in conjunction with Niagara Parks Police Service and the Niagara Regional Police Service Casino Unit. In the event of an emergency, always dial 9-1-1. To contact the Niagara Parks Police for non-emergency services, please call 1 (905) 356-1338.
Who are the Niagara Parks Police? With more than 125 years of experience serving the needs of the tourism community, the Niagara Parks Police service patrols over 1,325 hectares (3,274 acres) of parkland along the Niagara Parkway between the towns of Niagara-on-the-Lake and Fort Erie, Ontario. 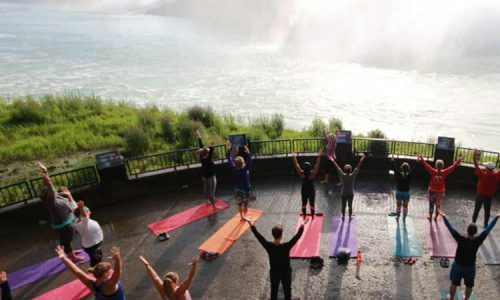 Their headquarters are located across from the American Falls in Queen Victoria Park. We encourage visitors to bring their pets and experience Niagara Parks to the fullest but do ask that animals are kept on a leash and in the owner's control at all times. Pets are permitted on in any public, outdoor space but not in swimming areas, buildings or attractions. Service animals are permitted anywhere throughout the parklands.